Manila, Philippines–Mobility has always been an issue in Manila, the Philippines’ most congested and crowded metropolis. Currently home to 11 million concrete-jungle survivors, going from one place to another requires skills and knowledge in mixing the different form of public transportation systems. The daily commute is not something to look forward to and none of it is hassle free but hey, we’re here for experience right? The list doesn’t include Uber, GrabTaxi and other online app based transport service. There will also be a separate blogpost on the train systems inside the metropolis. 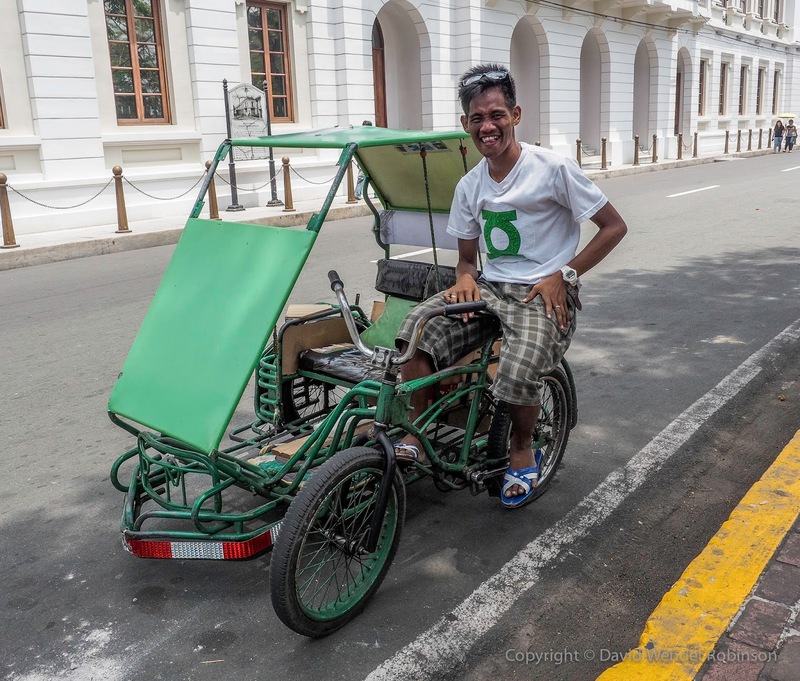 Starting off to the most humble type, the pedicab or pedal drawn cabs or colloquially known as padyak, this service the medium class communities in the city. The environment friendlier version of tricycle is driven by pedal-power of the driver. So expect the ride to be quiet and pleasant while you and Manong, the driver, glides you to through the streets. Pedicab or Padyak. Photo by Google Images. Popular in public markets and community schools, the ride comes cheap at Php10.00-Php15.00 that is usually half kilometers away. The attached carriage has a nice foam seat that can accommodate two passengers at a time, while some seat configurations can carry three to four passengers. During wet/rainy season in the country, this type of public transport comes handy in flood prone areas in the city. Yes, the only ‘amphibian PUV’ in the city. However, the fare may shoot up 10 times higher than the usual as traversing knee deep roads requires more pedal power and navigation skills of the driver. Tricycle– The calle King of the city. The popular three wheeled vehicle can be literally found everywhere in enclosed communities in the metro. Similar to its rickshaw cousins in South East Asia, the tricycle can carry four to an allowable six passengers per trip, excluding the driver. However in some areas of the city, like Fairview, where I live; tricycles transport 5-8 passengers per trip. Conventional diesel powered tricycle and e-tricyle that ply the streets of Mandaluyong. Photos by Google Images. Built in different styles, the sidecar and the cycle are usually covered in two different roofs. In some cities in the metropolis, this vehicle is configured with sound systems, colorful lighting and much comfortable seats. Depending on the distance, the fare usually starts at Php8 per shared trip or Php30 for special trips. 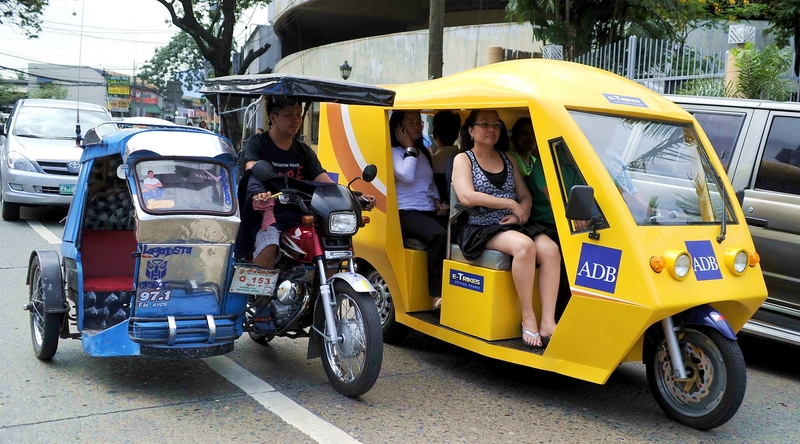 In an effort to curve the rising air pollution contribution of tricycles, the Philippine government in partnership of Asian Development Bank which is headquartered in the country launched the battery powered version of the motorized vehicle. E-Tricycles are now a success in many localities in the metropolis, especially in Mandaluyong and Intramuros district in Manila. Tip: Plying in different enclosed communities, hiring a tricycle is the best possible way in pin-pointing your final destination. As always, smaller bill helps and ENJOY the cranky ride. 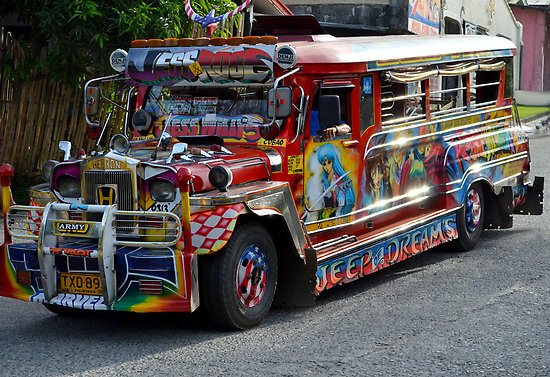 The Jeepney– Popular for its crowded seats, random festive decorations or family portraits and radio mixes, the jeepney is the Philippines’ most common mode of transportation. Carrying different people from various walks of life, this mode of public transport ply in various national roads and streets, especially in the capital city of Manila. Its destinations are written on small plastic signage that crowds the small windshield of the vehicle. The more routes it takes, the more signage it’ll have. Metro Manila jeepney. Photo by Google Images. Per trip carries 18 to 20 passengers in a center-facing seating configuration. Packed together like sardines, the ride can be exhausting especially during rush hours or peak of the dry/summer season as it doesn’t have air-conditioning. However, its wide windows provide the ventilation for passengers’ comfort. Just like most of the transport system in the country, the jeepneys loads and unloads practically anytime and anywhere along its route. As of today, the minimum fare for a 4-kilometer jeepney ride is at Php7.50 for regular passengers and Php6.00 for students and senior citizens. The E-Jeepney (Comet) at its transport terminal in North EDSA. Photo by Google Images. 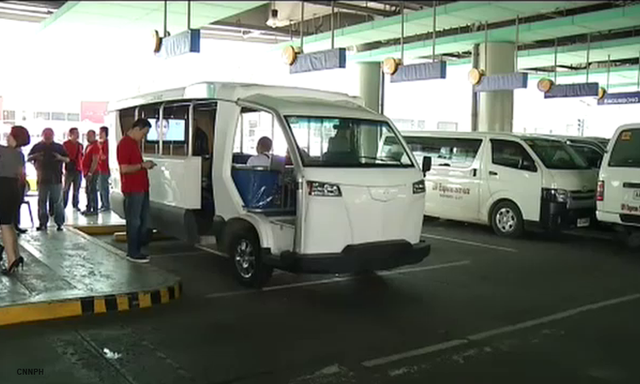 Labeled as one of the major contributors of rising air pollution in the country, the government launched the e-jeepneys in 2008 and implemented it in select routes in Makati and Quezon City. Tip: Due to high congestion of passages on narrow seats the prevalence of theft is very high. Pickpockets find easy to get into your pockets, bags, or even slash them with use of a sharp object. Sometimes they disguise their hand with black backpack put “accidentally” on you and your belongings. Some of them work in a small gang, operating at one time. So be extra careful especially if you’re travelling in late hours. UV Express – You may have actually come across or rode one of the white and heavily labeled AUVs that packs 18 passengers per way. Like the jeepneys, it comes in different configurations too, from fancy mags, on-board television to LED lit chassis; it has gained popularity especially those who are in need of faster and comfortable commute compared to jeepneys. 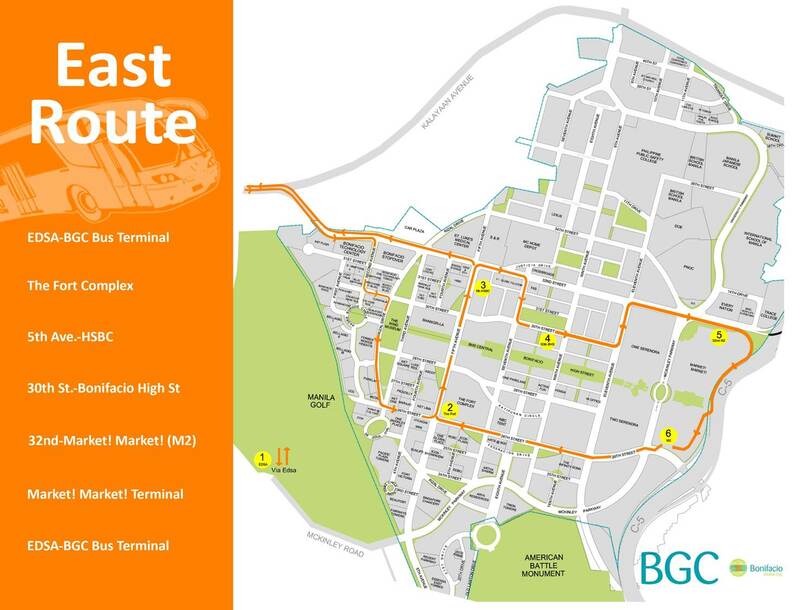 On advantage of not having fixed routes, they could bypass congested road sections and take alternate routes despite covering longer distances; however it incurred shorter travel times. Patrons of this transport service are those who work in different Central Business Districts in the city and college students, practically this service uses air-conditioned large vans of Toyota and Nissan. Personally, I ride UV Express vehicles regularly for work and other find it very convenient even though it’s more expensive than bus or jeepney. Tip: Know the exact fare for your destination and allot time for queuing in terminals, especially during rush hours and sudden downpours. Bus—City buses in Metro Manila follows different routes and in some cases bus stop rules. For buses plying through EDSA (Epifanio Delos Santos Avenue), the Metro Manila Development Authority or MMDA divided each routes to specific bus stops in hope to address the issue of congestion caused by the bus drivers. For those coming from Market! Market! 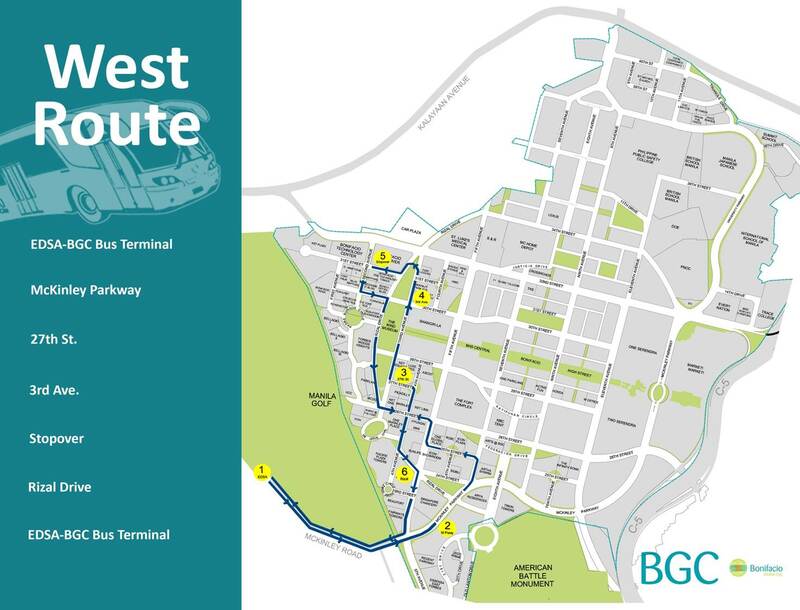 Terminal, passengers may board the Central Route buses every day from 6 am to 10 pm. These buses go from Market! Market! to One Parkade, The Fort, Net One, Net Cube, Crescent Park West, HSBC, Globe Tower, Track 30th Park and University Parkway.